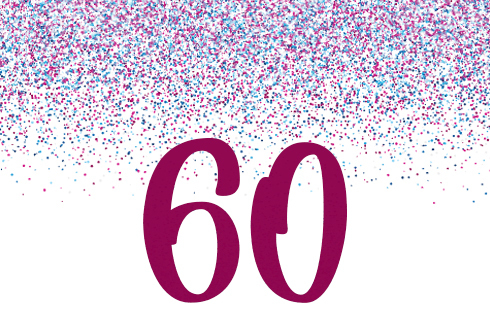 The TOP 100 competition has published the 25th edition of its ranking of Germany’s most innovative SMEs. 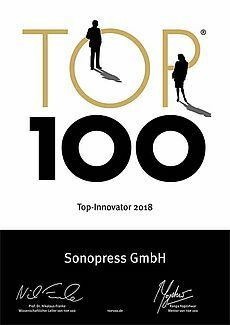 This year, Sonopress GmbH is one of the leading innovators identified in the analysis carried out by TOP 100 Scientific Director Prof. Dr. Nikolaus Franke. As a mentor of TOP 100, the German science journalist and TV personality Ranga Yogeshwar joins Franke and compamedia in honoring the Gütersloh-based company at an award ceremony hosted at the 5th German SME Summit in Ludwigsburg on June 29, 2018. Sonopress has made the leap into this innovative elite for the second time. The company, which has 500 employees, did well in the independent selection process thanks in particular to its successful innovation in the field of hightech storage media. IFA, which today opens its doors, is dominated by 4K and high-resolution video content. Therefore, it is no surprise that the demand for Ultra HD Blu-ray discs with storage capacities of up to 100 gigabytes is on a steady rise. With this in mind, Sonopress, the global provider of media services has now expanded its production capacity for high-resolution storage media and commissioned its second UHD-100 production machine. Nearly simultaneously to this step, the five millionth such next-generation disc came off the production line at the company’s headquarters. 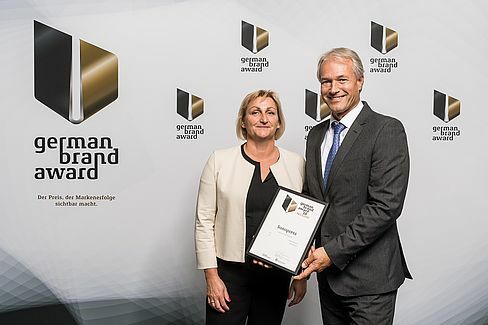 Sonopress GmbH is one of this year’s leading innovators among German SMEs. 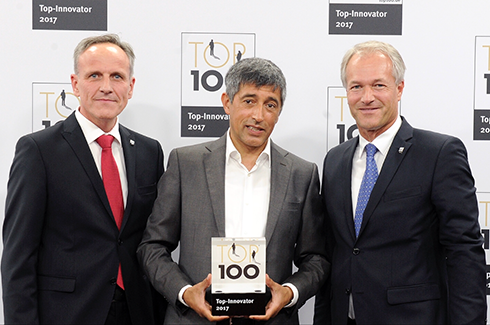 The Guetersloh-based company was awarded the TOP 100 seal, which was given out for the 24th time by Ranga Yogeshwar, Prof. Dr. Nikolaus Franke and compamedia last Friday. In the independent selection process, the company especially impressed the judges with its innovative success. The global media service provider Sonopress has concluded a sales cooperation with the Spanish company Xtern to strengthen the market position in the optical data media segments of CD, DVD and Blu-ray. A few days ago, the global media services provider Sonopress achieved another milestone in 4K Ultra HD Blu-ray production. Almost exactly one year after the first disc in the new, high-resolution format came off the production line in Guetersloh, the replication experts have passed the three million mark. The global media services provider Sonopress will henceforth put its 4K Ultra HD Blu-ray production expertise at the service of Blu-ray Partners France, an alliance formed by leading entertainment technology companies to accelerate the further expansion of the successfully launched 4K format. 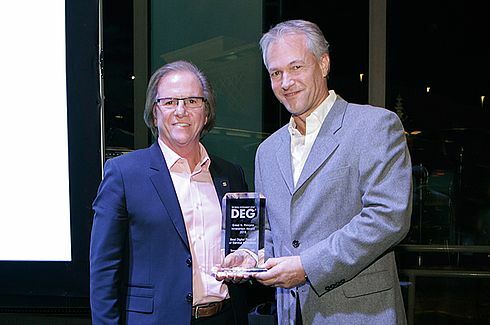 Headquartered in Los Angeles, the Digital Entertainment Group (DEG) has awarded Sonopress for its market launch of the Ultra HD Blu-ray 100 optical disc, naming it “Best Digital Product or Service Innovation for 2016”. Sonopress CEO Sven Deutschmann had the opportunity to accept the prestigious award during the Consumer Electronics Show (CES) in Las Vegas late last week. The CES is the world’s largest trade fair for consumer technologies and a global gathering place for leading technology firms and innovative companies from the entertainment sector. Sonopress manufactures Ultra HD discs for Hollywood studios and distributors. It has now been six months since they began production in March. 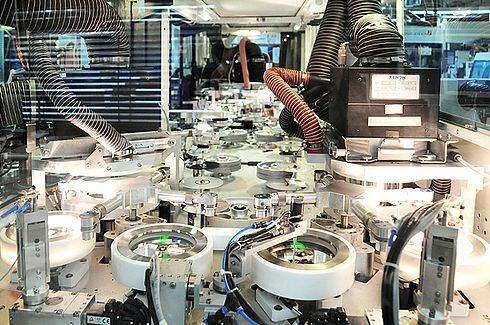 Sonopress, a company in the Bertelsmann Group, has already produced and delivered one million Ultra HD Blu-ray discs (4K). Huge success for Sonopress: The high-tech company, which is among the world’s leading manufacturers of optical storage media, succeeded in completing the process development of the three-layer Ultra HD Blu-ray disc earlier than expected. The Blu-ray Disc Association (BDA) has given the Gütersloh-based company its official approval to manufacture the innovative 100-gigabyte disc. 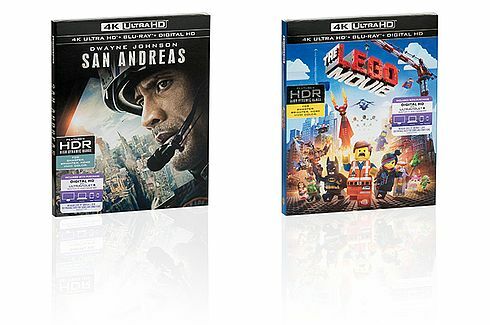 Sonopress GmbH, a company in the Bertelsmann Group, has produced the highly anticipated Ultra HD Blu-ray disc for the US market on behalf of major Hollywood player Warner Bros. The first titles to be released in this format in early March include Mad Max: Fury Road, The LEGO Movie and blockbusters like San Andreas and Pan. UHD BD format features a resolution that is four times higher than traditional Blu-ray discs plus higher storage density, and provides markedly improved contrast in 4K format on the newest generation of TV screens. The innovative new data storage medium has a capacity between 66 and 100 gigabytes. 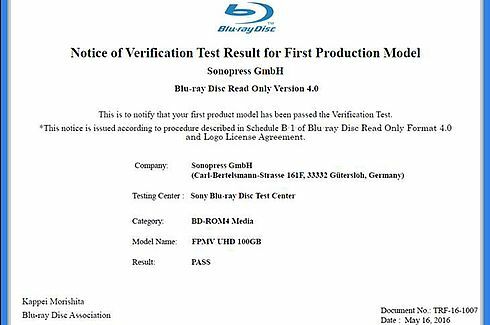 Sonopress is so far one of the few companies in the world to become certified in the production of the new UHD Blu-ray disc. 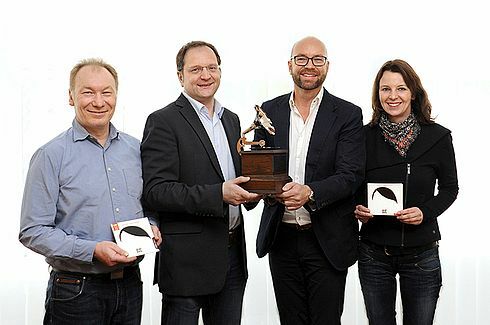 Lübbe Audio, Bastei Lübbe’s audiobook programme, and the global media service provider Sonopress are continuing their successful collaboration. A longer-term contract has now been concluded and includes the production of audiobooks and audio dramas for the publishing group’s broad repertoire.